NYSEIUS from France will honour the central position of this scene within the orthodox satanic movement. “De Divinatione Daemonum” will raise the ancient wrath inhaling the essence of chaos to those who will dare to cross the portal of the temple. Norma Evangelium Diaboli and all vicious satanic acts of devotion propagandized by this organization opened a new season for the Black Metal scene. French Black Metal scene soon has become the most important alternative to the Scandinavia nature inspired mood, leaving apart the Legions Noires memory to investigate on the more controversial occult fields. “De Divinatione Daemonum” is an open vacuum where the listener can climb losing any contact with the real world, fast but not brutal the descent is made to gradually become surrounded by the hypnotic scenario. Abandoning solar hope listener is expected to become an unity with the inverted theology. 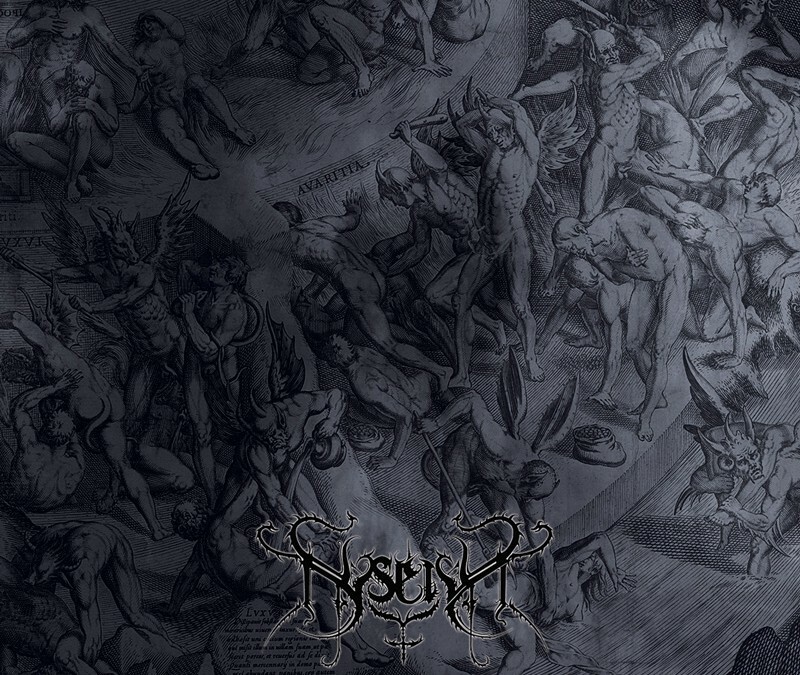 Differently from the Swedish Religious Black Metal, so deeply rooted to the heavy metal influences, Nyseius prefer to adopt the Deathspell Omega approach in blending an obscure atmospheric vision to the colder Black Metal repetitive riffs, where the rarefied melodies become the instrument of the shamanistic purpose.